I used the Hide-or-Show feature for question #1 and question #2 on my form. However, even though I entered separate information for both questions, the same question was used for both. How can I prevent this? 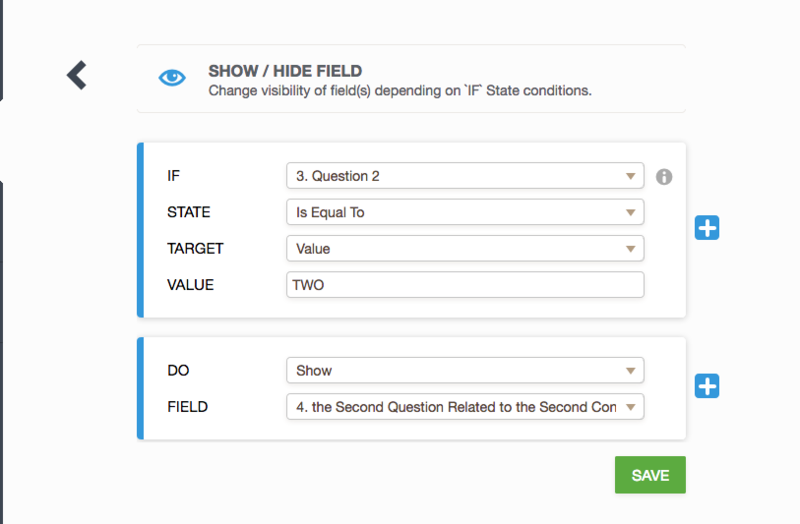 Did you check your conditions to be sure that you set separate fields that you want to show/hide for the question#1 and question#2? As I check your account, you are using our new form layout (Single Question in One Page). However, the layout type of your main account is legacy form layout (All Questions in One Page). Therefore, I prepared two separate demos to show you how to use 'Show/Hide Fields' conditions with on both layouts simply. 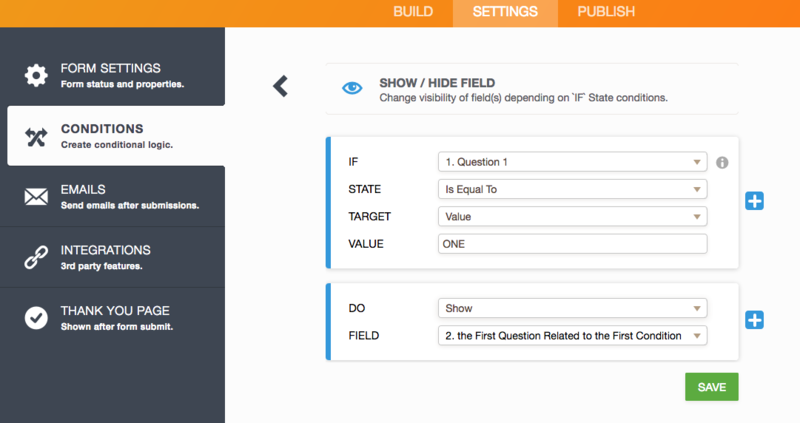 To show ' the First Question Related to the First Condition' field only if the value of the 'Question 1' is equal to 'ONE' I set a condition like seen below. 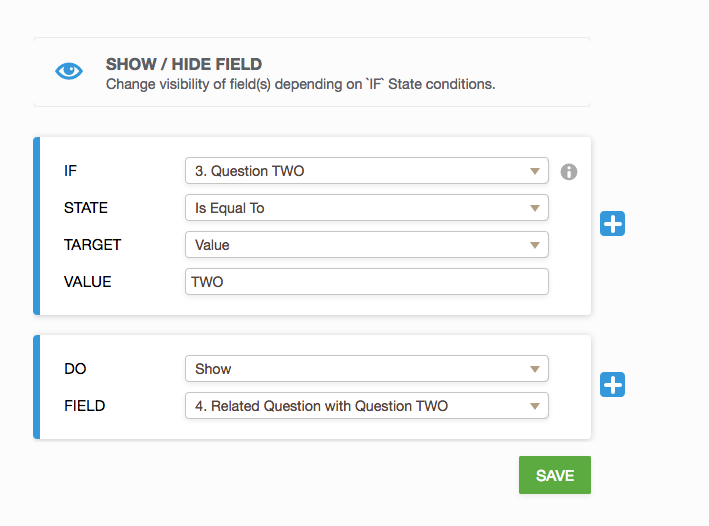 To show ' the Second Question Related to the Second Condition' field only if the value of the 'Question 2' is equal to 'TWO' I set a condition like seen below. 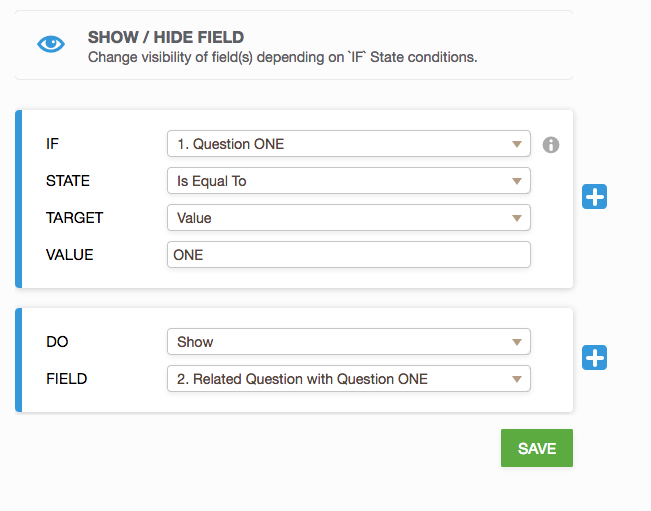 To show 'Related Question with Question ONE' field on the next page only if the value of the 'Question ONE' is equal to 'ONE' I set a condition like seen below. To show 'Related Question with Question TWO' field on the next page only if the value of the 'Question TWO' is equal to 'TWO' I set a condition like seen below. I hope these guides help. If you need further assists, Could you please send us your form ID so we can figure out the issue.